Chartism, the British mass movement for democratic and social rights in the 1830s and 1840s, was profoundly shaped by the radical tradition from which it emerged. Yet, little attention has been paid to how Chartists saw themselves in relation to this diverse radical tradition or to the ways in which they invented their own tradition. Paine, Cobbett and other ‘founding fathers’, dead and alive, were used and in some cases abused by Chartists in their own attempts to invented a radical tradition. By drawing on new and exciting work in the fields of visual and material culture, cultures of heroism, memory and commemoration, critical heritage studies and the history of political thought, this book explores the complex cultural work that radical heroes were made to perform. 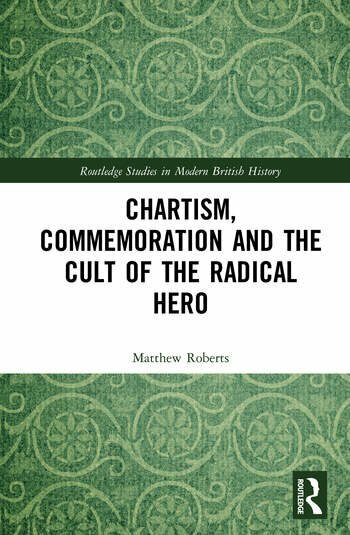 Matthew Roberts is Reader in Modern British History at Sheffield Hallam University.